Redbourne Dominus, exemplifies style and ruggedness with it beautifully crafted spokes. The Dominus has multi-spokes that concave out from the center to a hard straight cut before the outer lip, adding the perfect style. Redbourne Dominus, exemplifies style and ruggedness with it beautifully crafted spokes. The Dominus has multi-spokes that concave out from the center to a hard straight cut before the outer lip, adding the perfect style. Redbourne wheels capture the ruggedness of a Land Rover while remaining elegant in design. Each of our Land Rover wheels is designed, tested and built with a load rating capable of holding the heavy duty Land Rover chassis. Redbourne offers a range of wheels with the correct load rating, including Range Rover, Range Rover Sport, LR3 and LR4. Redbourne Land Rover wheels are hub centric to offer a smooth enjoyable ride and accept the OE tire pressure monitoring system (TPMS). 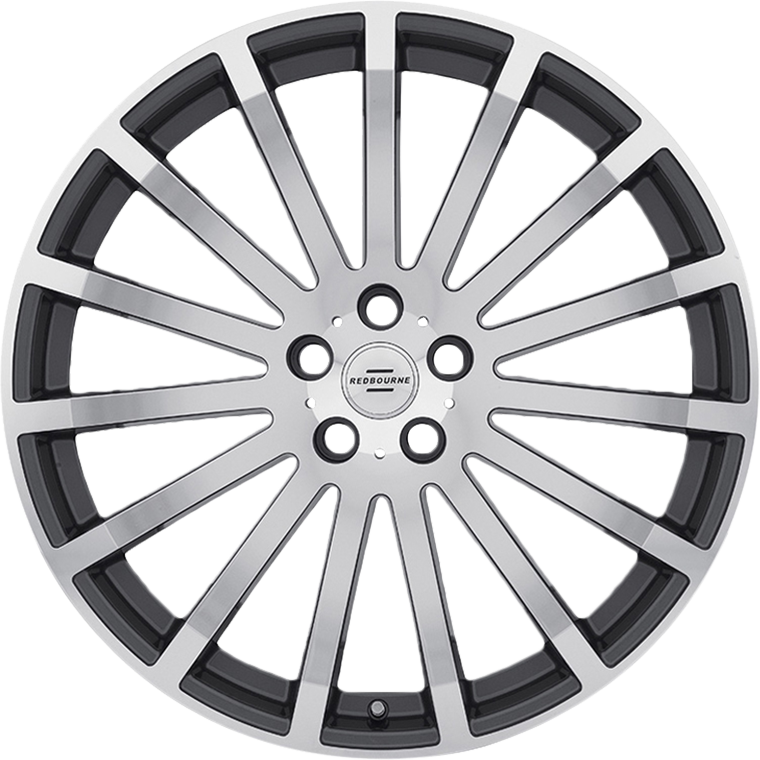 With traditional six spoke looks or aggressive multi spokes fit your taste, Redbourne has wheels exclusively designed to complement your Land Rover.